The effects of teenage pregnancy vary greatly depending on a number of things including maturity, readiness, planning, health, and more. 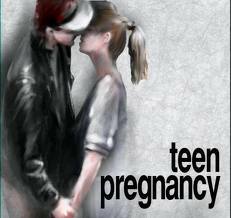 Teen pregnancy has effects that can differ widely depending on a teen’s situation. The effects for a married teen with a wanted pregnancy will be dramatically different than for an unmarried teen with an unexpected pregnancy. Other factors, such as family support, health issues, and economic circumstances can all make the effects of a difficult teen pregnancy worse or mitigate them. The most immediate effects of teen pregnancy are the physical changes to the teen’s body, which begin to take place even before she is aware she is pregnant, and in the case of an unplanned pregnancy, possibly many months before she realizes or acknowledges that she is pregnant. Once the pregnancy is identified, the teen may be overjoyed, on the one hand, or depressed, bitter, angry, scared, or suicidal, on the other hand. She may fear people’s reactions—including those of the baby’s father and her parents—fear childbirth itself, and fear for her future. In some cases, she may not even know who the baby’s father is, creating a situation that would be complicated and distressing for anyone, let alone a teen. If the teen did not mean to get pregnant, she may face challenging decisions about abortion, adoption, raising a child, and her education. Even a girl whose family and religious community is anti-abortion is likely to face the question of abortion from the school nurse or other health care providers, friends, neighbors, etc. She may also face pressure in various directions from those with differing opinions, about which they feel enormously strongly. For a young teen, this is likely to be the most complicated, loaded decision that she has ever dealt with, and she may feel completely overwhelmed with responsibility. Other difficult questions that may present themselves to the pregnant teen concern continuing (or not) her relationship with the baby’s father, and if so how: marriage? Friends? Co-parents with little else in common? What kind of support there might be if she did keep the baby both economically and childcare for her to finish high school is another consideration, and if she planned to continue her education after college, that looms as well. Of all pregnant women, teens are the most likely to receive inadequate prenatal care. In some cases, this may occur because the teen doesn’t realize she’s pregnant, but it can also result from trying to hide the pregnancy. By missing prenatal care, a teen not only misses the vitamins that contribute to her health as well as the unborn child’s, but also the screenings, nutritional advice, and information about mitigating morning sickness and other side effects of pregnancy that might be very welcome as well as contribute to better health for both mother and baby. Pregnant teens are more at risk for pregnancy-induced hypertension (elevated blood pressure) and preeclampsia (high blood pressure accompanied by fluid retention: a potentially dangerous condition) than older women who are pregnant. Anemia and depression are also common side effects. Pregnant teens are more likely to have premature babies, born at less than 37 weeks gestation, and this in itself means their babies have an increased risk for a variety of health-related problems. All babies of pregnant teens are more likely to have a low birthweight, and preemies are additionally more likely to have developmental problems with their respiratory and digestive systems, as well as issues in the areas of vision and cognition. Following the birth of the baby, teens are at greater risk for post-partum depression than older women. girls born to teen parents are at increased risk for becoming teen mothers.